Before you can start to edit your audio you must capture it. 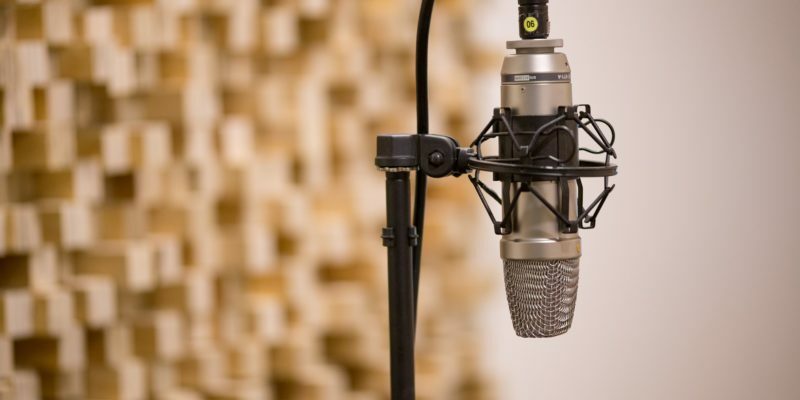 This is done using microphones, which is an obvious statement to make, but, the less obvious fact is that there are several types of microphone and numerous ways of using them depending on the result you are after. Placement and environment is a very important part of getting a good soundtrack and is not to be underestimated. 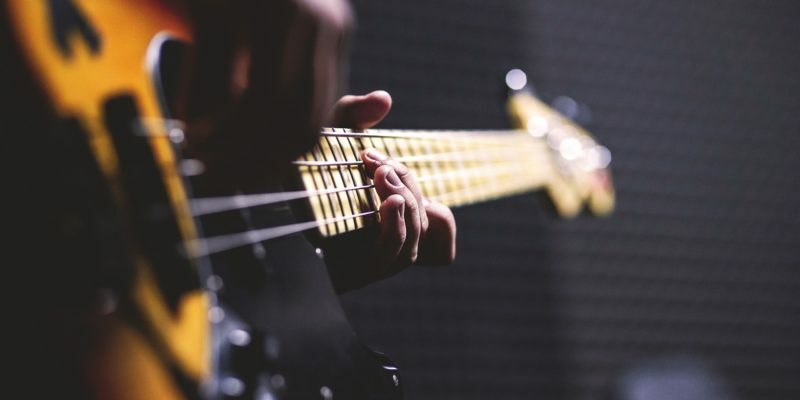 Positioning the microphone too far from the source will result in too much of the background sound being recorded and positioning it too close may result in distortion, popping and a generally unnatural sound. As I want to keep this related to video soundtracks on a budget I will only be covering the basic and affordable options here. I would strongly recommend not using the microphone on your camcorder. These are designed to pick-up sound from all directions and won’t give you the best audio result, especially when talking to camera. We will look at alternative devices for recording audio separately in the next post. One method is to record the audio with a close-mic. This is where the microphone is situated close to the narrator thus capturing less of the room or background sound during recording. This way of recording can be done live or can be recorded in the studio and edited into the soundtrack during the editing phase. This is the way TV documentaries are narrated. The host or hired voice over will be recorded in a studio and the chosen parts of narrative will be edited into the production to narrate many of the transitional shots where no-one is talking on-screen. 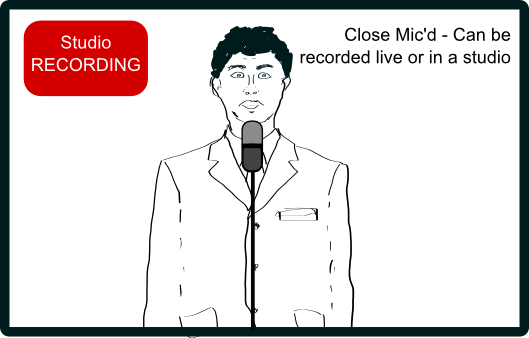 A result of close mic’d recording is that all of the breaths, mouth and saliva noises are much more noticeable and need additional editing in most cases. Learn more about de-breathing in Removing breaths from voice over audio… Why bother? Recording in this way means that the host will be talking live to camera and will be seen during the narration. This is also known as a talking head video. This style limits the amount of editing that can be done with the audio as the video and audio need to stay in sync. 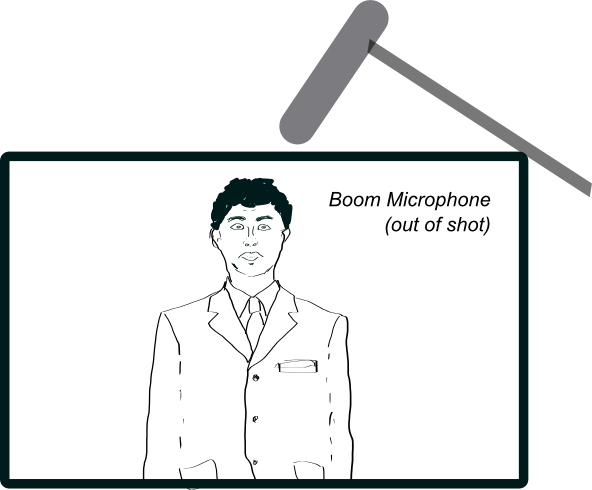 The person in the video can either use a close mic’d method (close mic’d as illustrated above) or make use of a boom operator. The boom microphone is very directional and can be kept out of shot while still picking up good quality dialogue. 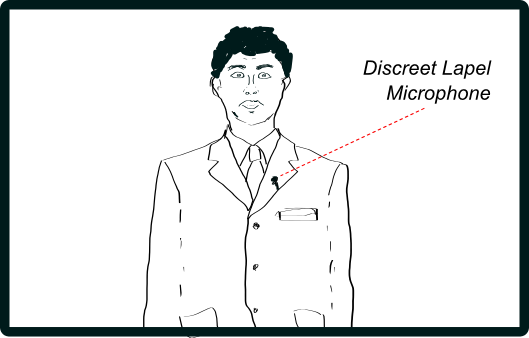 Alternatively, a clip-on lapel mic or lavalier microphone can be used as shown in the graphic below. This is more discreet than a close mic’d method and more affordable. We are going to be focussing on close mic’d recordings and lapel mics. In addition, you may want to hire a professional voice over. Adding a voice over at strategic points in your video gives it a professional sound. This may include an intro / outro to your show, film or podcast and can also incorporate sound effects and background music. 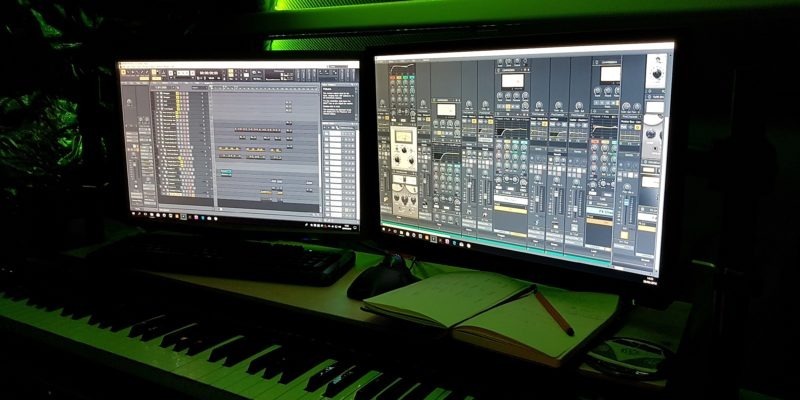 In this scenario, you would supply the voice over with a script and they would send you a finished file ready for you to edit into your production along with your live audio.